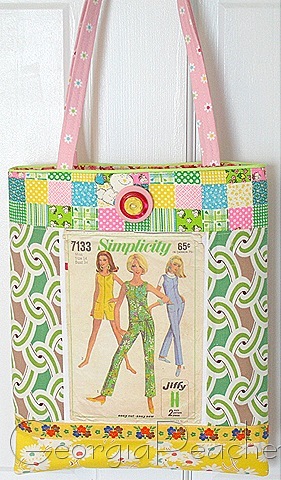 I have dug into my extensive vintage sewing pattern collection and come up with a new twist for my tote bags. I've got several of these ready to go and they are in my etsy shop right now. These are so very, very cool! Much like yourself. absolutely brilliant!! these are so utterly fab I cannot believe it! 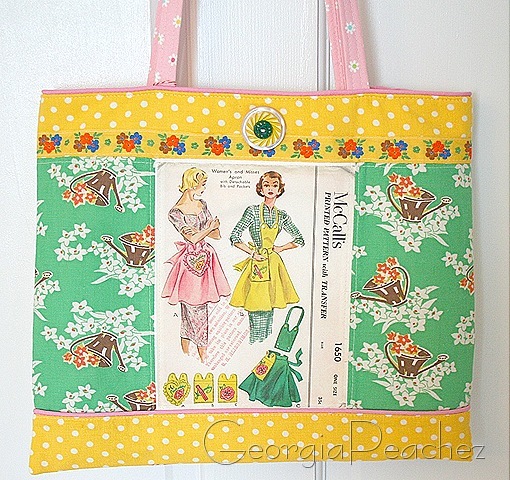 I adore vintage patterns, I must have well over 200 now, shhh. It’s becomming an addiction. I have been pondering different ways to use them and you are just so clever to come up with this. I had thought about sewing a vinyl pocket on the outside of my totes to slip one in, but printing it directly onto fabric, now why did I not think of that myself? I may have to paper my craft room of happiness with some of them also, but now I know I could just scan them onto other paper and not “use them up”!